Eight years ago, Motorola released the Motorola RAZR been Successful in the market with the format of the clamshell / flip. Now the manufacturer from the land of Uncle Sam is back throwing the latest version of the RAZR with the additional designation Droid name to distinguish the previous RAZR. The most naoticeable difference other than the shapes That has been turned into a candy bar That is the operating system already uses Android 2.3.5 or better known as Gingerbread. 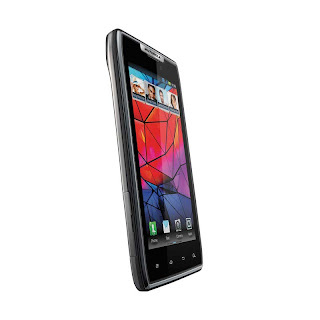 With only 7.1 mm thick Droid Motorola RAZR obviously very thin but still comfortable Pls Kept in a pocket or handheld. It weighs only 127 grams is not too heavy but still thick with a solid impression.